I’ve been thinking a lot about racism for two reasons. It’s an interesting comment because my children are ½ Asian, but I supposed they looked “Asian enough” to draw a response. It’s interesting because our family in Indonesia suffered much during World War II, when Japan invaded. In other words, I’m from a country that was a victim in the war, not an aggressor. So, as we all know racism today is alive and well. Second, some articles about Senate candidate Elizabeth Warren have caught my eye (one is here). She for nine years listed herself as a Native American in trade directories used to find diversity candidates, during a time when law schools were under pressure to hire more minorities. She was hired at Harvard Law School. There, she was the only member of the faculty not from a selective law school. Warren might be 1/32 Cherokee, but that relative isn’t registered as a Native American in the Dawes Rolls, which closed a century ago and are used to adjudicate who today can be a citizen of an American Indian tribe. I’ve uploaded a picture of Warren. Hard not to shake your head at that one. So, I write all this because I’m frankly struggling. Racism is wrong, and we need to help those who are from groups that were put at a severe disadvantage. When should people “tick the minority box” like Warren? When you’re 1/2 Native American? 1/32? 1/64? When you apply to select colleges these days, it actually hurts you to be Asian-American. When colleges limit Asians, isn’t that racism? 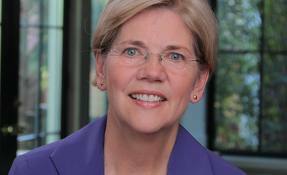 How do you regulate a program with good intentions so that someone like Elizabeth Warren does not take a job that can go to a Native American from a poor background? Is it fair to tilt college admissions just because of race? For example, my wife and I support an on-premises rehab center for young women who are homeless, have children and are addicted to drugs (more here). All of the tenants I’ve met are Caucasian. Nearly all have been abused as children, and they’re from very difficult circumstances. If and when their children apply to colleges, should admissions officers favor them, or a friend of mine, an African-American who is from a stable two-parent household and attended one of the best prep schools? If anyone has thoughts on this, I’m all ears. Jo, it’s interesting you raise this topic, especially for those of us raising young children. My 80 something parents were visiting this weekend and I’m still shocked that they identify people by their race and religion, as well as their ethnic heritage, and unfortunately but their size (my father is especially concerned about those who are overweight). It’s difficult to explain to our children that Grandma and Grandpa come from a “different” time, when there were very visible enemies and many immigrants were 100%, vs. the fractional ethnicity you mention that is so commonplace these days. Sadly, these comments are not used to point out the positive aspects of these people. Our kids play / socialize / study with other kids of every race, religion and ethnic origin- and don’t give it much thought- but they are more and more aware of those around them who choose to use these “labels” as a means to denegrate or demean them. As I went through security at the airport today I also wondered about the woman fully clothed, her head and most of her face covered. I could tell those around me were almost sneering at what may or may not have been someone of Middle East descent, but I can assure you none of them would have had the same reaction to a Nun coming through security in her habit. Bill, thank you for the thoughtful comments. Hope all is well…. Something we all must remember is race is a social construct. Meaning race and the subcategories we create are classifications that we make up for various reasons (not always logical reasons). In the context of the United States, race was used to give the Southern States more federal power when our Constitution was being drafted through the 3/5ths compromise. I just came back from an extended stay in Brazil’s Rio de Janeiro. Brazil, like the United States, imported Africans as slaves. Also like the United States, it has an incredibly diverse population coming from all parts of the world. Sao Paulo (the economic engine of the Southern Hemisphere) has the largest population of people of Japanese decent living in one city outside of Japan. 51% of Brazil’s population thinks of themselves as Black. I bring up Brazil in reaction to your blog post because the United States and Brazil share similar characteristics. However, Brazil’s culture deals with race differently than the United States. One might argue, until recently, they simply ignored it. Many Brazilians a generation removed from their immigrant ancestors don’t consider themselves to be Irish-this or African-that. They are simply Brazilian. However here, many of us, myself included, hold on to our ethnic background, even though we are many generations removed from our family’s immigration. One my hypothesize, that because Brazilians are first and foremost “Brazilian” and shed their ethnic background so easily, racism does not exists in that country. But they would be wrong. Racism is alive in well in Brazil, as brilliantly discussed in this week’s Economist. My point is this, race in this country is a point of power for many of us. It’s a means of not forgetting where we came from and who we are. My mother for all intensive purposes is white. However, like Ms. Warren, she claims “native blood,” as documented through genealogy records. For her, this is a way of holding on to a part of her family’s history, which if not carefully preserved, would be forgotten. It would be easy to point the figure at anyone who appears to be one race and claims another, as a means of taking advantage of the system. However, we cannot forget that race is a social construct. If Warren can document that she has Native American blood in her and therefore claims she is a minority, fine. To each to their own. As Americans, we could follow the lead of Brazil, and ignore race. We could claim that racism does not exists, as many Brazilians believe. We could make higher education race-blind and let the chips fall where they may. Brazil’s results speak for themselves. While 51% of the country’s population considers themselves to be Black only 6.1% of 18-24 year old Black-Brazilians were enrolled in University in 2006. The fact is race is a factor in our country, as your children were made so painfully aware of during their spring break vacation. What role race should place in public policy is debatable. I would argue that the debate is a healthy one because it means we are aware of the influence of race in our community. Arthur I agree on your comment that debate on this topic is healthy. I think that is a better route than the passive-aggressive approach, where we may be tempted to say that “race doesn’t matter” only to believe deep down that it does.